I barely had time to finish reading the introduction before the first speaker went up on stage. I swiftly changed to the built in Notes app on my iPhone and quickly wrote down the name of the speaker before switching to camera mode. I snapped some pictures to upload on LinkedIn. Maybe I could tag the speaker and add him to my network? Just during the first hour of the conference I had utilised a number of apps and features provided by the iOS platform in order to document, connect and to learn. Little did I reflect upon that I had just made an example of how Apples disruption of the cell phone industry has turned the conventional mobile phone into the number one digital platform. In retrospect however, the message stands clear as day. I do not have to elaborate more on how Apple has turned the standard cell phone into the multi tool of the 21st century, you already know this by now. Nevertheless, this phenomenon exemplifies something very important; the disruption of the conventional pipeline business model in favour of platformisation. Stock analysts have called it “the Amazon effect”, with reference to the onetime online bookstore that is currently destroying pipeline driven retailers with a platform strategy as effective as the Roman infantry tactics. But what is it that makes platform businesses so effective? In its essence, platform businesses shift their core vision from “What products or services are we offering?” to “What connections are we enabling?”. In doing so the producers, consumers and the platform itself will enter a variable and dynamic set of relationships. Instead of putting participants into producer-consumer boxes, a platform enables participants to play both roles at various times where they connect and produce value by utilising the resources provided by the platform. Consequently, value can be created, exchanged, consumed and even co-created in a variety of places rather than flowing in a straight (pipe)line from producer to consumer. But what does all of this have to do with banking? Next year the Revised Payment Service Directive (PSD2) will come into play and force banks to open up their data to third parties, something that I suppose you readers are rather familiar with by now. 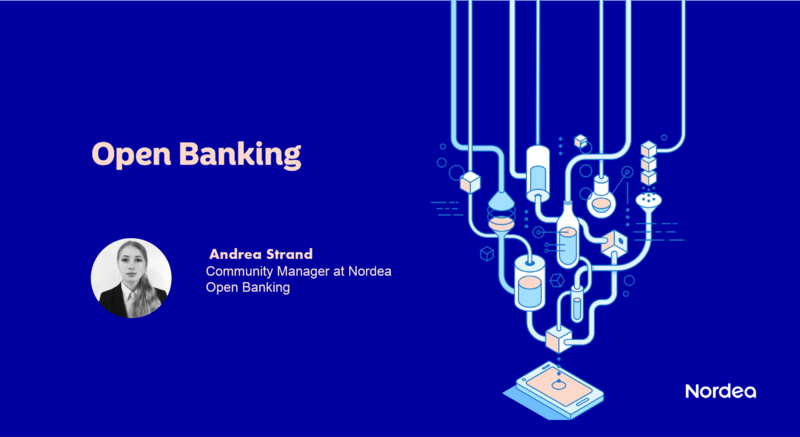 As a response, we at Nordea Open Banking have started to launch an open banking platform to provide open APIs to both internal and external developers in order to foster innovation and drive collaboration with third parties. In this context, open banking will not be about creating products or channels. It will be about embracing the concept of dynamic co-creation in an environment enabled by open APIs. This would for instance enable a small fintech company to build an aggregation service for a large bank, utilising not only the APIs provided by the open banking platform but also the APIs of other platforms; a real example taken from one of many innovation projects at Nordea. Another real example is Nordea partnering up with Nets to enable invoice payments through Facebook messenger in an effort to reach customers through other platforms. Both these cases are examples of the uniqueness of value creation in a platform environment where no case is the same. And more importantly, these are examples where other platforms either connects to us or lets us become a part of them and where third parties do not compete with us, but instead becomes our partners. Even though it has been widely accepted in the industry that fintechs and third parties will not destroy banks, there is still the belief that large platform players will outcompete the giants of the financial industry. I personally believe that these examples together with the platformisation concept itself strongly indicates that the “platform war” is just another collaboration opportunity being mistaken for a threat. I will finalise this post with the simple statement that Open Banking is more than just a developer platform enabling payment initiation and account information services. It is platformisation coming to disrupt the financial industry. Open banking goes beyond just building a platform and thus, if the banks really want to unlock the potential of platformisation, they must truly understand the concept of banking in an eco-system. Andrea Strand joined Nordea in the beginning of September as a recent graduate from the Royal Institute of Technology in Stockholm. At Nordea she is a part of the Open Banking Community team, working on making the Open Banking Platform the go-to hub for developers.